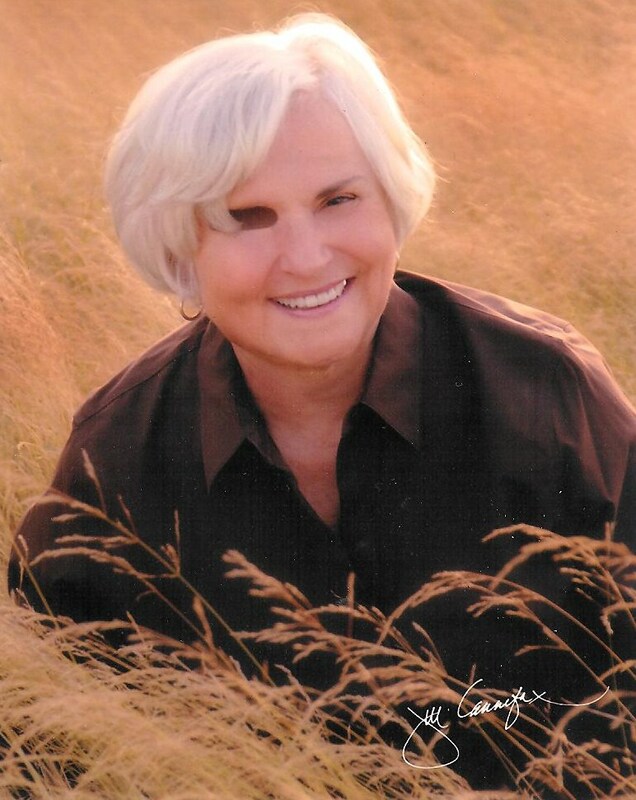 When I become frustrated with the slow pace of adoption reform, when I read Lorraine's account of New York judges opposed to allowing adult adoptees access to their original birth certificates, when I hear them trot out the need to protect women in their 60's and 70's from their "sins' committed decades ago, I have to remember that the course of change never runs smooth. We need to celebrate every forward step. Sen. McCaskill has not, however, endorsed, OBC access legislation in Missouri which would put it on par with neighboring Kansas which never sealed records. She is also a co-sponsor of Sen. Mary Landrieu's godawful bill that would require foreign countries to open adoption to Americans, the deceptively-named Children in Families First Act of 2013 (CHIFF). The bill, S. 1530, would allow-- actually abet--practices similar to those in Ireland which forced Philomena Lee to give up her son and prevented them from finding each other. While haranging the Irish government to do more to help Irish mothers and their children reunite, Sen. McCaskill has suggested nothing to help the 242,602 children adopted into the U. S. from abroad between 1999 and 2012 to reunite with their first families. Records may never have been created in the first place; if they were, they may be false or, as in Philomena Lee's case, destroyed. These families are at a further disadvantage because most don't speak the same language as the birth/first mother. On the the other hand, I need to remind myself and advocates for adoption reform to be patient, to recall the old adages: A journey of a thousand miles began with a single step. Rome wasn't built in a day. It took 100 years after the end of slavery to pass a civil rights bill, and 50 years later the effects of slavery still linger. I thank Sen McCaskill for taking those first steps even if they're a bit wobbly. and unsealed birth certificates, please add them. Another in the long line of books about the sorrow and heartache of giving up a child to adoption that started with Lorraine's memoir, Birthmark, in 1979. (See sidebar.) It was so controversial at the time that many women have told her they were too embarrassed to buy it--lest the book seller think they were one of "those women." Think how far we have come since then. Never give up, never retreat! Adoption is the most incredibly unselfish, difficult gift a mother can ever give her child. If circumstances in her life dictate that she can not raise her child herself, the pain her heart and her life go through with the separation knows no boundaries. You do not just hand over a baby to strangers and go out to lunch and life goes on as usual; you hurt and yearn and wonder and cry and imagine every single day. And the baby may grow up happy and loved but for so many the 'need to know' is not idle curiosity, it is a heart wrenching need to know, and in some cases a medical need to know. It is total absurdity to think that we, as individuals not even remotely involved in their lives, should make the decision for someone else that they NOT be allowed to look into the eyes of that most precious of connections, a mother and a child. I am one of the lucky ones, when I adopted my daughter I took that added step and procured permission from the birth family for her to contact her birth mother when she was older and wanted to, not everyone is that fortunate. A private thank you from me to all of the most unselfish people on earth….birthmothers. Clearly your heart is in the right place, regarding the child of whom you speak, but we first mothers find the idea of "gifting" a child far removed from reality. That may be the language that you have heard, and so have mothers-to-be at adoption agencies and in the literature, but the truth is, we give up our children when the other options seem impossible. One does not surrender to the elements drowning us and release a "gift." So please don't think of us at the time of relinquishment as giving a "gift." I don't know what the right word is, but it is not "gift." Think of the women who put their infants on the last airplane out of Vietnam at the end of that war; they were desperate, but they were not "gifting" anybody. They were trying to save their children's lives. "Gift" turns the child into a possession that can be passed around. Laura: I am sure my adoptive parents think almost along the same lines as you do. I was a gift from God, the answer to their longing and prayers. They waited for so long, went though so much, and then, here I was! The beautiful golden haired little girl! Surely I was a gift. They did not ever consider my first mother. And they still are not able to do so. She was never mentioned, and when she was she was called "the girl". Understand.....my adoptive mother was unable to become pregnant. She never could imagine what it took for the girl to relinquish me. It was simply something that was meant to be. They had waited for a long time, the girl had a baby, she gave the baby to them, and my entire past was erased. But look at the picture perfect family we made! You do have your heart in the right place, as Lorraine says, far more than my AP's ever did. But "gift " is the wrong word. I wish I knew the correct word, if there is one. As an adult now, people look at me as a successful, happy, together person. But I am saddled with baggage that no one could imagine. Adoption, unless in dire circumstances, is un-natural and wrong. My adoptive parents still think it all worked out great. No issues, no worries. Nothing could be further than the truth. I never did like being told I was special or chosen. And the idea of adoption as a gift just tears me to pieces. If adoption truly was what it was meant to be....a way to give a home to a child who needs one....then I would feel better. But it is an industry. I was a commodity. "The girl" supplied a product. The product just happened to be a human being. I am not trying to be harsh, and I hope I do not come across as such. But adoption is so delicate, so complex, so filled with loss and trauma, and other problems. I simply can not ever think of it as a gift. I am glad that you took the steps you did to clear the roadway for a smoother reunion for your daughter with her b-family. But, as an adoptee, I agree with Lorraine. Most adoptees do not view adoption as a gift. I understand why I was adopted, but it was not a gift to me. I was viewed as a problem. I posed the risk of staining my family's reputation. They needed to get rid of the evidence of having a less than pure daughter. I cannot say that my family was selfless. In fact, wouldn't the selfless act have been to keep me in the family and to hell with the consequences? I'm not going to say they were selfish. I don't view it that way, but they certainly were not selfless. Adoption certainly was not a gift. It was a loss--a major loss. I lost my mother. Even though I have since found her, she is still stuck in the shame of the BSE, so I have lost her forever. "Sen. McCaskill has not, however, endorsed, OBC access legislation in Missouri..."
I'm not impressed. It's all well and good to support equal access for people in another country and ride on the coattails of Philomena Lee's fame, but what about right here in her home state of Missouri? It sounds like she's talking out of both sides of her mouth when it comes to adoptee rights. And being co-sponsor of that abhorrent CHIFF? Beyond the pale. 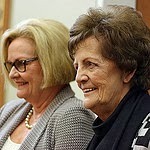 Of course, Senator McCaskill supports adoption. She's the stepmother of four adoptees. I would feel a whole lot more supportive of her if adoptees in THE SHOW ME STATE could say, "yeah, the state showed me my OBC." The more I hear of the opposition to OBC access for adoptees, the more I realize we adoptees are still the adopted 'CHILD'. Actually, it's more like we are still considered babies.